We are proud to sponsor the Lutheran Child and Family Services who play a major role in the transformation of Indianapolis from a city with too many unproductive, unsupervised kids with too much time to get into trouble to one providing these youth with a valuable structured program. The Lutheran Child and Family Services program uses therapeutic programs, provides shelter facilities, community based services and a curriculum in their Lutherwood Academy for grades K-12 to teach valuable life skills. Please check out their website and consider donating. We are proud to sponsor another great event at Como Park in St. Pauls! 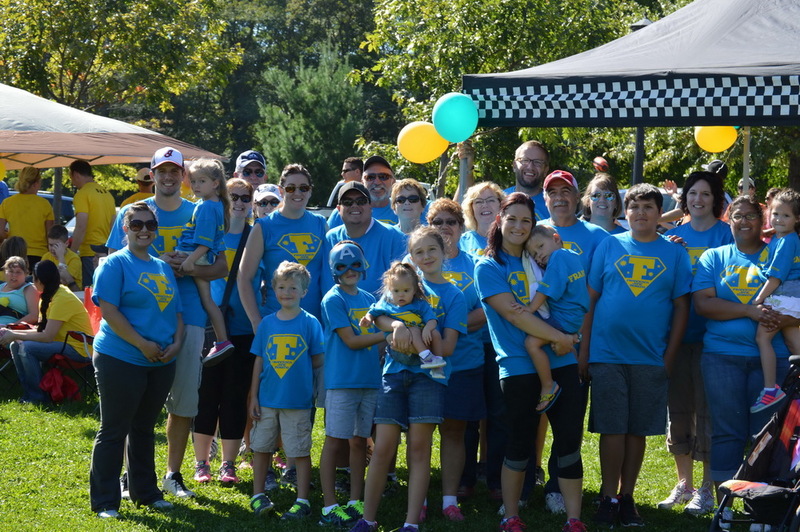 On September, 27th, 2015, the Down Syndrom Associaton of Minnesota held their annual walk to benefit families with children born with Down Syndrom. A large group was again formed by the Moreno family and their friends. The cluster could easily be spotted with wearing bright blue T-shirts with the maintecx logo and Francescas’s name on. Everyone enjoyed the walk on a beautiful Fall day and the barbecue that followed with delicious brats smoldering to perfection!